2017-2018: A year in review at the SCIP ECO School — Saving Children In Poverty (SCIP) Inc. The academic year has just ended. And here's our yearly review of a few highlights from the term 2017-2018 at the SCIP ECO (Equality, Compassion, and Opportunity) School. Support our non-profit organisation in Australia to educate kids in India. The SCIP ECO School has now six classes - Nursery, Lower Kindergarten, Upper Kindergarten, First Grade, Second Grade, and Third Grade. Annual exams are conducted at the end of the every term so that the kids can test their knowledge of English, Hindi, Math, Science, and Social Science, among other subjects. 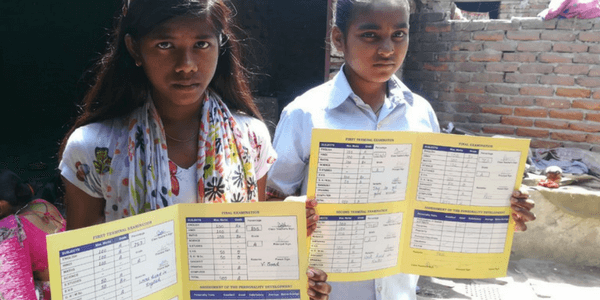 Help our honest non-profit organisation to facilitate education for hundreds and thousands of kids living in poverty so that we can attain 100% literacy rate in the future -- a future where everyone can read, write, and live the best possible life. It's been a long while since I got a report card but I still remember the tingly feeling in my stomach -- almost like butterflies were fluttering around -- on the day the results were announced. SCIP has partnered with a private school called the Nehru Academy, where you can help a child get an education for a year for just 200 AUD. It is our sincere effort to provide a path for progress and success to as many children as possible. Please join us! At SCIP, we strongly believe in -- and support -- gender equality. It is really better if we get the kids to challenge the social stereotypes and the gender norms while they are still open-minded. Our hope is for the young kids to grow up into beautiful human beings who respect every one irrespective of their differences and feel that anyone is capable of achieving anything given the right amount of hard work and circumstances. Dr. B. B. Gupta gave an eye test to twenty kids living in the sector four slum of Faridabad, India. The goal was to ensure that the kids have a clear vision so that they can read and study better and (also!) dream about a wonderful future with open eyes. We just took a small measure to ensure that there was no fog on their way to a successful future. Our ethical organisation plans to conduct many such future campaigns. 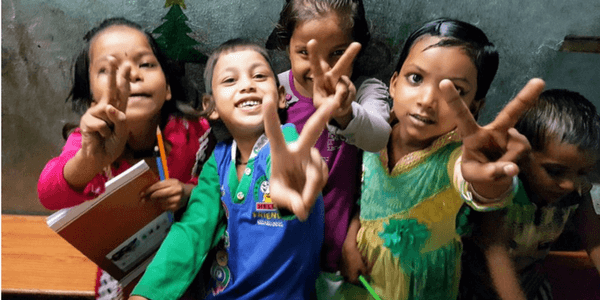 Support our non-profit organisation in Australia to educate kids in India.